The latest issue of Fortean Times (FT314) has a distinctly comics-related flavour. The cover story is about “real-life superheroes” – vigilantes who fight crime while dressed in colourful costumes (I used to think that possessing some kind of super-power was a necessary prerequisite for calling yourself a superhero, but apparently not – a colourful costume is all you need). There’s also a two-page preview of a new exhibition at the British Library, Comics Unmasked, which focuses on the “subversive side of British comics”. By and large (having led a sheltered life) I missed out on most of this subversive stuff, although I did see a copy of Oz Magazine, with the pornographic “Rupert Bear” story, that was surreptitiously passed round at school. I had no idea at the time that it was just Rupert’s head pasted onto a completely unrelated comic strip by Robert Crumb. More significantly, I had no idea until I read this issue of FT that one of the three editors who were convicted of obscenity at the Old Bailey, over the very issue of Oz that contained the Rupert cartoon, is now the publisher of Fortean Times! His name is Felix Dennis, and if you read the small print inside FT it says “Published by Dennis Publishing”. Comic-book fans would be well advised to read the small print of this particular issue, since the editorial credits look like they were penned by Stan (The Man) Lee himself! You’ve got Delirious David Sutton, Bombastic Bob Rickard, Peerless Paul Sieveking, Ever-Loving Etienne Gilfillan, Valiant Val Stevenson and Heroic Hunt Emerson! And that last one really is a comic book legend! FT has other connections with comics, and sadly one of them is reflected in the 4-page obituary of Steve Moore in this issue. Steve is best known as a comic-book author, but he was also one of the first contributors to FT back in the 1970s. It was only after his untimely death that I discovered that, even earlier in his career, Steve used to work for “Power Comics” – the 1960s black-and-white reprints that first got me into superhero comics (as recounted in The Marvel Age of Comics). I learned about the Power Comics connection from the tribute to Steve Moore on Kid Robson’s blog... although the same photo from Fantastic #50 is also included in the obituary in FT. In my “Marvel Age of Comics” post I mentioned that I was a big fan of Nick Fury, Agent of S.H.I.E.L.D. circa 1969. That doesn’t mean I had every issue, though. In those days there were often gaps in the American comics that made it onto British newsstands, and one of several issues I missed was #12. Apparently (according to the editorial in FT314, and confirmed by Comic Vine) that issue included a villainous HYDRA agent named Robert Rickard! Although the first issue of FT was still several years in the future, “Bombastic Bob Rickard” was an acquaintance of young British comics creators Barry Windsor-Smith and Steve Parkhouse. And if you look back at the previously linked Comic Vine entry, you will see that the issue in question is credited to none other than Barry Windsor-Smith and Steve Parkhouse! So if Bob Rickard can appear in comics, what about Charles Fort himself? Ever since I did my Charles Fort in Fiction post last year, I’ve been meaning to do a similar thing for “Charles Fort in Comics”... although to be honest I’m only aware of two (pictured at the top of this post). Fort: Prophet of the Unexplained originally appeared in 2002 as a 4-issue miniseries from Dark Horse, although it’s now available as a single volume . The story is set in New York in 1899, when Fort would have been just 25. It’s not really what I would call a Fortean story – more like a Steampunk version of The X-Files, in which the title character shares his name and physical appearance with the real-life Fort but little else (his fictional wife is named Agnes, for example, rather than Anna). His young sidekick is a 9-year old H.P. Lovecraft (who of course lived in Providence R.I. at the time, not New York). 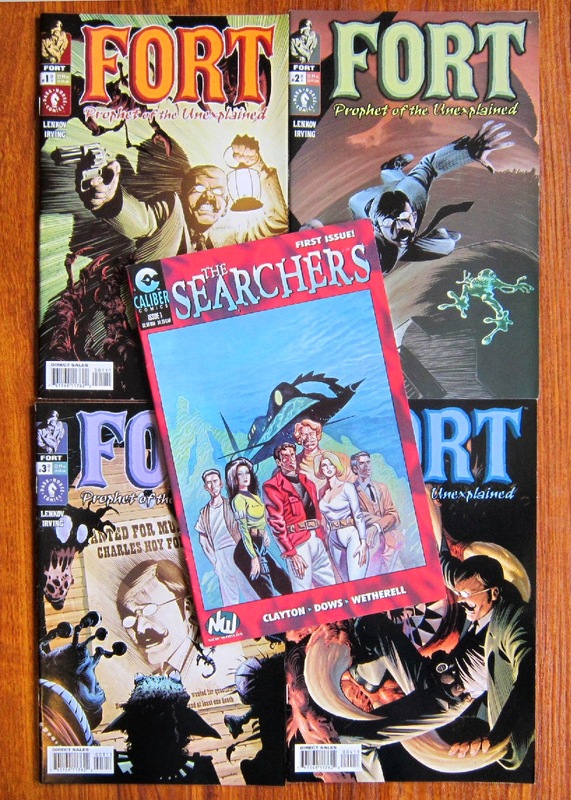 A couple of years ago I discovered that Fort also made a cameo appearance in the first issue of The Searchers, published by Caliber Comics in 1996 – so I got hold of a copy on eBay. 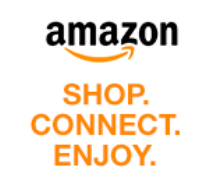 The story is basically set in the present, but it includes a ten-page flashback to 1896. Fort is the central figure in the flashback, in which he convenes a meeting in the British Museum of all the leading writers of escapist fiction – Arthur Conan Doyle, Jules Verne, Edgar Rice Burroughs, H. Rider Haggard and H.G. Wells. This is a promising idea, but it’s really only a brief scene before the action shifts back to the present day. Dorset-based readers might be interested in another piece of trivia, by the way – just prior to the flashback scene there is a brief glimpse of a signpost pointing to Dorchester and Weymouth! A real shame about Steve Parkhouse passing away, Andrew. He wasn't even what I would've called old. Do you mean Steve Moore? Steve P is still with us as far as I know. But yes, it's shocking when people you think of as your own generation pass away. Yes, indeed, Andrew, I mean Steve Moore. How could I read your post and then type Parkhouse? I did sometimes confuse the two, but I knew which name I meant to type - it just came out wrong. Wotta plonker!